Time sure does fly… I reviewed the V100 in November of last year and I absolutely loved it. 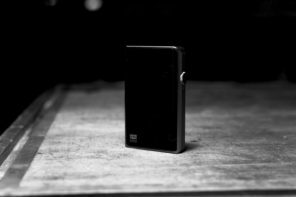 The V200’s little brother turned out to be an awesome amp and that made lots of readers wonder how Violectric’s top of the line product would perform and so I promised to add a comparison between both amps. In the meantime 7 months and a couple seasons have passed before we got a hold of the V200. 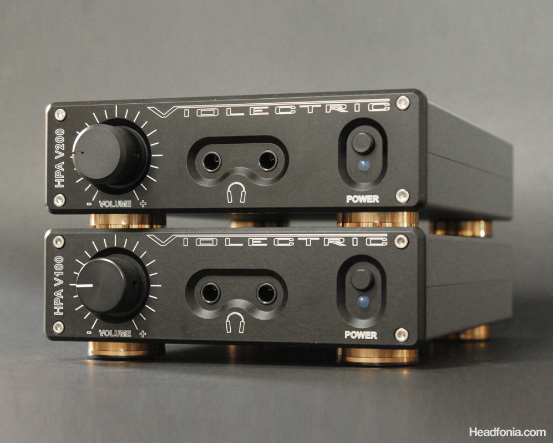 Don’t forget to go read the V100 review first to get the general picture of Violectric. All the Violectric amps are still made by hand in Germany and with a typical German quality control. Combined with the fact that Violectric (being a smaller company) amongst other reasons can’t afford to buy huge stocks of components makes it tough for them to keep up with the increasing demand of V200s from all over the world. Orthodynamic headphones have been getting more popular lately and with the release of the Hifiman HE-400 at $399, the orthodynamic technology suddenly was available for a much bigger crowd. The HE-400 doesn’t really need amp like the Violectric to shine but my point is it seems the popularity of the Violectric lineup follows the same increasing popularity of the orthodynamics (and of course quality products make a name for themselves). 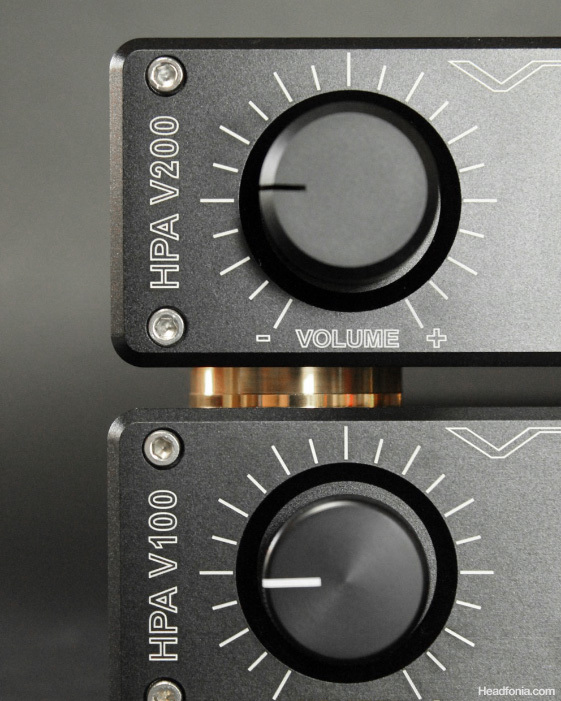 Like the V100, the Violectric V200 also is an A/B Class amplifier with the exact same build quality and looks. (V100 weighs 1.7kg & V200 weighs 1.8kg, both mesure W 170 x H 49 x D226 mm). 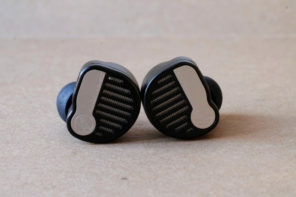 It has the same classy feet and identical double Neutrik plugs in front. If it wasn’t for the difference in the volume pot, which I will explain right below this paragraph, and the V100/V200 logo I wouldn’t be able to tell them apart. On the back, again the same balanced- and unbalanced inputs and pre gain jumpers. A difference to the older units is the use of a new volume control since November 2011. 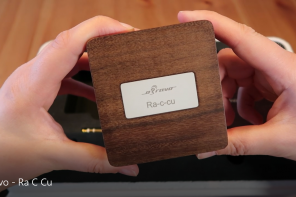 The older versions used a normal ALPS RK27 volume pot while the new amplifiers come with a special made ALPS pot, slightly bigger and with a less slick grip, which shows best in the pictures (see bottom of article). This is what Violectric said about the volume control: “The volume control was changed to a 41 detent from Alps which is only made on demand. We like the detent feeling whilst turning because it has something to do with precision and eases repositioning to a specific level. Also the 41 detent matches the layout on the frontpanel. Every two steps a mark is hit. Please note that this is NOT a stepped volume control but still analog with infinite resolution. The new knob is an original Violectric design and manufactured only for us. It is solid aluminium as before but sightly bigger (25 to 23,5 mm) and higher (20 to 16 mm) thus using more material. It is glas blasted and the anodising quality is much better as it was before”. On the inside you get “better” components and 8 transistors per channel instead of 4 like with the V100. Two small signal BC546/BC556 and the power transistors 2SA1606/2SC4159, all driven by a non-inverting NE5534 op-amp. Like in our version of the V100 we did not ask for the supplementary USB DAC. As the overview in the picture gallery shows, the V200 has more power as the V100 except at 16 and 600Ohm. At 32 and 50Ohm, the V200 delivers respectively 0.3 and 0.5W more as the V100 does. The V100 was already quite powerful but the V200 has all the power you need (I didn’t try with a HE-6 but from what I read they can do the job). The increase in power really is audible with the LCD-2, the HE-500 and even the easy to drive HE-400 (which I like more and more with the V200!). 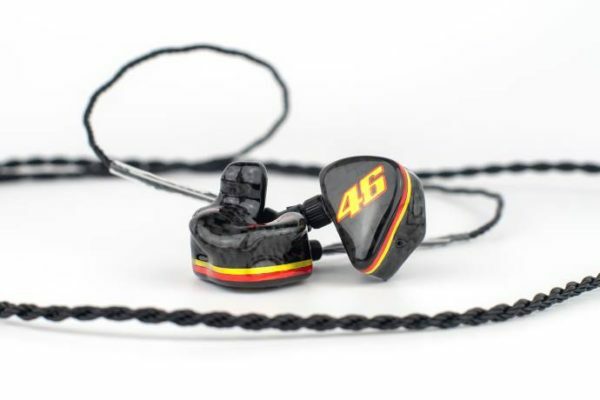 The amp lifts them all up to an even higher level as with the V100. In contradiction to the V100 I never used the first +6db gain setting on the V200, meaning you get 8db gain (2.5 factor) standard and a very big range on the volume control. (Personally I never went past 12 o’clock). When I first connected the V200 straight out of the box I did not like it as much as the V100, it just didn’t sound as good and the bass was rather weak. I then stopped listening and let the amp burn in for 15-20 hours and in that time it changed quite a lot (or did my mind?). When I came back to the V200 the amp had opened up and the sound was simply awesome. While the sound signature is comparable to the V100 there are some significant differences. 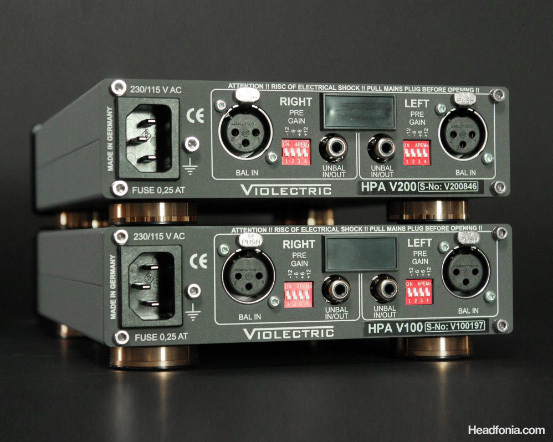 The V100 is the more neutral sounding amplifier of the two, that’s the biggest difference for me between the two. Detail retrieval on the V100 is already very good but the V200 does it even better. It is more precise and very dynamic, powerful sounding with good body and with great tonal balance. It is even more balanced and its positioning is incredible. On top of that the sound is never harsh and is always smooth and musical. The V200 has deeper bass extension and the bass overall is a bit tighter and punchier as with the V100, adding a little bit more detail too. The lower tones are great: the black background is awesome. When listening to Leonard Cohen you can hear the timbre and the tremble in his voice when he begins to talk/sing. I have had a lot of goose bump moments with the V200 listening to a whole lot of artists. The mid section is smooth, warm and laid back but not overly warm, it’s a very balanced amp but it isn’t as neutral sounding as the V100 and does make you think of the tube sound even more, of course that depends on your definition of neutral. The treble on the V200 like everything else is smooth too, it’s never harsh and at the same time it is slightly rolled off. Its bass is further extended as the treble, something I can appreciate. Overall, in conclusion, the amplifier to my ears isn’t the most neutral sounding one on the planet, it is more on the warmer side of the spectrum and it really does sound tube like, more so as the V100 does. Soundstage wise the V200, like it’s little brother, isn’t the widest and it is clear that the focus wasn’t on this during development. Don’t get me wrong, soundstage really is good enough and the depth of it does make up for it. In exchange you get this wonderful package that will make you enjoy your music like never before. The Hifiman HE-500, which I said to be good but not great with the V100 is simply awesome with the V200. As we know they are a little bit more difficult to drive as the Audez’e ortho and I think it’s the first time I really got the full potential out of them, thanks to the extra power. The LCD-2 which already was incredible with the V100 is even better with the V200, the bass is very present, mids are the best and like the HE-500 I have never heard them this good before. It’s no wonder that everyone on the World Wide Web is raving about this combination. As I mentioned in the first Violectric review, the amplifier had no problem at all with any of the headphones used. The Sennheiser HD650 sounds very good with this amp although I still prefer it with a real tube amp like the Crack or the LaFigaro 339. Nice! I still have yet to listen to either Vios. It would be great to read your comments on the V200. I have looked at that unit myself. Thanks for sharing, Julian. Good to see people enjoying the Vio. Damn, another glowing review for Violectric, It’s getting harder and harder to suppress my upgrade bug. Anyway, I was wondering if you had a chance to hear the V90 or Lake People’s amplifier line (G103 and G109), and hear how they fare compared to the V100/200. I have the same quibble for all the dual-output amps I have seen so far: that is, I would like a separate volume control for each output. My wife and I like to listen to music together but use different headphones. It would allow us to listen at different preferred volume levels. I am surely not the only one with this desired functionality. I understand what it would entail to do properly but it is nonetheless a desired feature. Has anyone seen an amp with dual controls? Your concern is valid. However the problem with implementing dual volume control is that usually the volume control is located right on the input signal path, right before the signal reaches the amplifier circuitry. With dual volume control not only do you have to split the signal parallel, but you also need to have two separate amplifier circuitry to handle the signal from there. That translates to almost double the space, power supply requirement, and parts cost. Some amps have low and high gain output jacks, and while that’s not as flexible as having two volume controls, it’s the only way to do dual output within a reasonable cost, I think. I have the V200 along with the V800. Simply fantastic!!! What is hardly mentioned about the V200 is that it is an extremely revealing and resolving amp and scales up tremendously with cable selection. I am running 15k+ worth of cables, i/c and power, around these two units and I have got them sounding, to my ears, stunning on the LCD-2 and the HE500 themselves on silver/gold hybrid cables. OK thanks. Re the HD650, what gain setting do you recommend using? +1 for zero, I found I had troubles controlling the volume at anything beyond zero… But for me -6 was not enough. I have been setting the pre-gain that allows the volume pot to be used at it’s sweet spot which is between 12-3 o’clock. At the same time I have ground lifted everything that can be internally on both the V200/V800 and also lifted the low pass filter on the volume pot. Did you have a chance to try their plug-in DAC (USB Input Option) ? Does it worth the money? The USB input option looks handy when we need 1 box setup. Thanks! thank you! Both tested models were without the USB Dac, so I can’t judge its quality. It does look handy, but from what I’ve read most V200 users do have an external DAC. Would you mind commenting the difference between V200 and Beta22? Sorry Lieven who has the Violectric amps have no access to a Beta22. I have no access to the Violectric amps. I believe L wrote this one. Yes, Lieven did this review, while I did the Apex review. So I guess it’s hard to make the comparison. 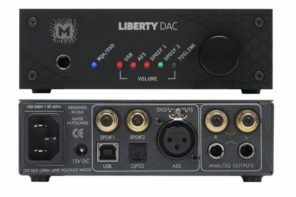 Mike do you know of any feedback on the $150 24/96 DAC add on for the Violectric? I’ve been looking at the Burson 160DS but also like the Violectric model. I am just curious how the DAC stacks up. Yeah I thought it would be a nice 1 box option but you’re right external DAC is a better way to go…. although for me, there is going to have to a be serious influx of cash to do the V200 alone let alone with the V800 as it stands my wallet is dictating that I go with the Lake People G109 rather than the Violectric, but a guy can dream can’t he? The V200 is weak in the bass? If anything is has a slight emphasis on bass. IMO burn in does not exist. I’ve not once heard it on any of my current or past gear. So I think it’s more of a myth and psychoacoustics are at work. Please read the review again/correctly. That was never said anywhere. Burn in, you can believe whatever you want. Sorry, I did re-read it and I don’t know where I got that from, so my bad man. I do apologize for that. Oh and I did say the V200 can be muddy, but only on headphones like the LCD-2 and such. I felt the added bass from the amp didn’t work well with the LCD-2. I don’t really agree on the muddy part, maybe that was with a Rev 2? Hi, I’ve only heard the Rev2 of the LCD-2 and to me it sounded a tad muddy with it. 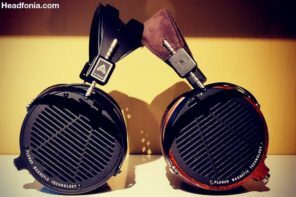 I preferred the LCD-2 on the V181 as the amps more neutral signature seemed to mate with the warm signature of the LCD-2. Does V200 work well with Beyerdynamic T1? I have heard T1 does well with tubes but I really don’t want to mess with tubes, any thoughts about that? That’s going to be hard to answer directly. Lieven did the V200 and I don’t think he has a T1. Going from my experience with the T1 and what I read about the V200, I think the two should be a pretty good pairing, but that’s just based on what I read about the V200. I’ve never had a chance to listen to the T1, but I can say, as a new owner of the HD800 (and for all those wondering) that the V200 paired with the HD800 is simply astonishing. V200 can definitely tame the treble spike in the HD800, so hopefully that has a direct correlation to how it performs with the T1. Thanks Vern. I’ve never auditioned the Vio amps but all the comments, including L’s review makes me want to listen to it very bad. How would you compare the Objective O2 with the Violectric V200? You do know that no amp can compete with the O2 and that all these other $1K amps become obsolete after the O2 was released? I know…I’ve had the O2 and been on the O2 thread on head-fi. Some can be fanatical about it: “its not the O2, it’s your headphone that’s the problem”. But I recently got the V200 because I just could not convince myself to like the O2. It just wasn’t musical to my ears. And I didn’t want to go back to the Lyr. Liked the power but it lacked too much detail. Having said all that, I am however enjoying the V200 and wanted hear some comparisons to see what you thought. Good buy! I actually haven’t had the chance to audition the Vios. Ugh.. Sorry yes that was sarcasm. Great sounding amp on my HD800’s. That’s a great combination. I had the V200 on loan for a month or so. 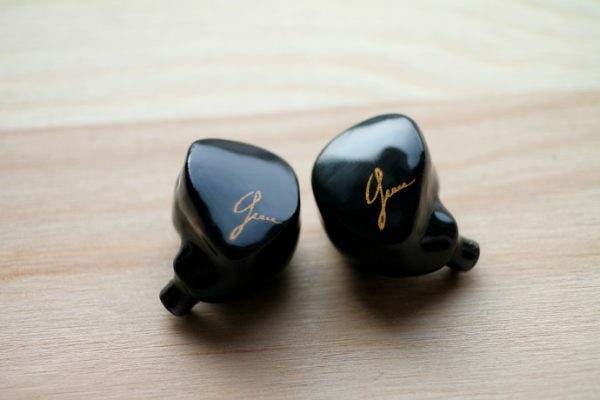 I think Lieven nailed it in the review – the signature is a bit bottom heavy, but with a good soundstage. I found the amp to be a bit boring at times with the Paradox and maybe it glossed over some micro details. For music that needed more crunch it made me reach for a brighter amp. Yes it’s very soft, warm and bottom heavy. 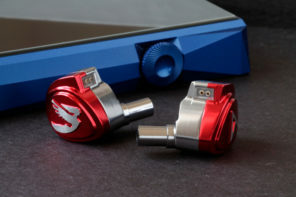 It would not be my preferred amp for T50rp based headphones except maybe Smeggy’s Thunderpants. With the Hifimans though it’s perfect. I’m looking for an amp which can drive both T90 & HD650 well (it’s a bit difficult since these headphones are pretty different). Currently I’m connecting them with HP-A8 directly, the T90 already shows pretty high quality but sounds a bit lean/cold to me, while HD650 sounds a bit awkward especially the bass impact is pretty weak. I know one great choice may be Bottlehead Crack, but for some special reason it’s too big to fit to my desk 🙁 Thus I turn to some solid alternative. Will V200 (warm and somewhat like tube) be a good choice for these headphones? Or is there some other choices with the similar price range (e.g. 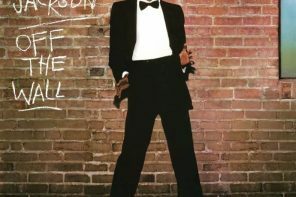 Burson Soloist, but I don’t have a chance to listen to it on local market, also worry about it’s too neutral)? Thanks a lot! Lieven, me here again. Purchased LCD-2 (late Rev. 2) earlier this week to accompany my HD 650 and 339. What do you think about the PanAm compared to the V200? How are you liking the LCD-2? With what tubes? The LCD-2 is great based on first impression. Bass notes are wonderfully textured, and pitches are produced much more accurately than on the HD 650. The HD 650 on the other hand takes you in the middle of the venue, which is great in comparison, at the expense of blurred notes at places. I think the two headphones complement each other nicely because of their different presentations. My Rev. 2 dips slightly at the sub bass area if judged by the frequency response chart. 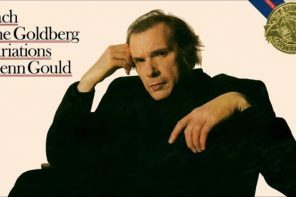 That being said, I would like to be able to listen the Rev. 1 or earlier Rev. 2 models to see how they compare. Does the V200 attenuate the treble, by the way? Got the V200. Very likeable indeed, great second-hand purchase. Should I adjust the gain so that I can get full use of the volyme knob? Better to keep the gain as ow as possible. I was listening to the V200 just yesterday. great sounding amplifier! 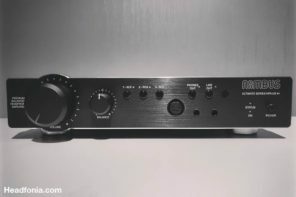 Question – I have an Audio GD NFB11 and I want to use that as the DAC. If I get the violectric v200, what cables do I need besides a USB a to b? Sorry I’m new to this. Which cables would I need to connect the v200 to the nfb11? Do I just need an rca or will I need some special cable? The audio gd has a coaxial hole and two dac outs. Is the coaxial needed or do I just use the output? Thanks for the help. Just a pair of RCA cables to attach the DAC output to the V200’s input. Is the internal dac worth it or should I just stick the violectric to my audio gd? nope just connect the RCA cable to the NFB RCA out. Connect to V200 RCA in. I don’t know if the NFB11 has a DAC OUT setting, if not you will need to manually put the volume to almost 100% and control the volume with the V200. Don’t forget to turn down the volume when you want to connect the headphone to the NFB11 again. I’m assuming it’s just a male to male rca cable? Can pick it up on amazon or monoprice? Hi I have a question is I’ve been thinking off buying amplifier and dac but I don’t know if I need it.I don’t listen to music and movies at a loud volumes and now I’m using my Sennheiser HD650 with my iMac 27 and for me the volume that the iMac put out is enough so should I buy the V200 with a dac.will it still make a difference in the lower volumes to have this amplifier. But will be able to hear the difference in the lower volumes. Mostly I listen to MP3 YouTube videos and movies. No worries – E10k will do fine. You see, the extra detail of the V200 is audible when you are not watching anything – totally concentrating on music alone. Unless you’re watching a symphony performance recorded with a million dollars worth of mics and other gear. I ordered V200 hope it will make a difference. I would love to have the V200. Even if you don’t hear a big difference at first, you’ll eventually get used to the better sound, and then you won’t like anything less. And add in a good DAC later and you’ll be set for life! Enjoy! I’m looking for that system now, but all I can find is a USB retrofit board for the V800?? Hi everybody I received my amplifier yesterday and what a massive disappointment I thought it was going to be at least five times better than my iMac what the differences are not that big so I can definitely not recommend buying a headphone amplifier. If you don’t think the V200 is better than your iMac there is a serious problem, especially with the HD650 and the DAC option you chose. Difference should be rather big. Again, it’s not about volume, it’s about sound quality. Maybe you need some more listening and training. 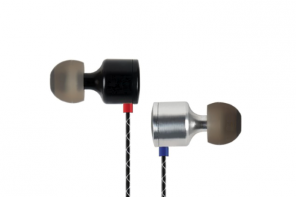 check out the Philips golden Ears training. I know what you’re saying and I’m used to stereo equipment hifi stereo equipment and I don’t check the volume but I check the sound quality. The sound was better but it was not that big of a difference and for that kind of money it should be a very big difference. The thing is I’m used to hifi stereo equipment and for me the ideal sound is when amplifier has total control over the speakers and it doesn’t make any difference if you play high volumes or in low volumes the sound should be the same.but maybe I’m wrong maybe in the head-fi world you cannot achieve the same sound like in the stereo world. Well it’s clear you can’t achieve the same thing with headphones but still I think you should be more impressed. There shouldn’t be a difference with the level of volume. Have you tried playing with the gain section? yes I’have tried different gain settings and I’have tried Mac and PC. The Fletcher-Munson effect occurs at lower volumes, so unless the amp has electronic compensation built in for low volumes, there has to be a difference. And some amps DO have that built in. Hi a quick question which DAC would you recommend for the most analog sound. Hi I have a question I have just bought the bravo ocean amplifier and I have bought MUSE DAC. When I have the dac hooked up to that amplifier and I have no music on everything is silent and I turn up the volume on the amplifier I can hair some noise with the dac but when I plug in from my iMac line out to the amplifiers line in there is much less noise how can this be. And this is related to the V200 how? It’s not but I returned the V200 back and you guys seem to be very knowledgeable about amplifiers and dac so I thought I best ask you. I must agree with you on the review that you made about the V200 it is warm sounding. I also have the Sennheiser HD650 but for me that combination made it to laid back so do you have any recommendations for a solid-state amp that isn’t that warm in this sound. My Bravo Ocean is always my first suspicion. At the very least isolate it as much as possible. Since it’s AC only, the mains noise could be really bad. Maybe buy an AC noise filter. The DAC gets the data from the music player, which is running from an AC source probably. 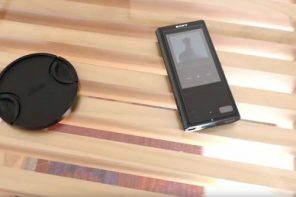 The DAC synchronizes the data bits it gets from the music player, but it doesn’t eliminate “noise bits”, since those are analog already and just ride along the wire with the DAC’s analog output. But that’s a different case anyway – even if the DAC output were silent, the amp comes *after* the DAC and is free to add all the noise it wants to. no it’s not the DACs job. Have you guys listen to the GUSTARD H10 they say that it sounds like the V200 but not as warm. wait a minute. This isn’t a DAC. You know the difference right? Appologies, you’re right. The integrated dac isn’t often chosen. The dac is ok though but nothing spectacular. The V200 is awesome and you’ll have a lot of fun with it. In the future do try combining it with a better dac. And thanks for posting, and sorry again. No problem at all. Thanks for your suggestion. I’ll try to combine it then. 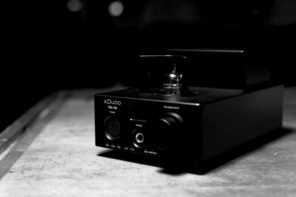 If you get a separate DAC, don’t give away the advantage you’re paying for. Make sure your inputs and outputs are kept very clean, and use the shortest highest-quality interconnect cable possible. I am also a new comer to the V200 party (thanks to Lieven I am the proud owner of his previously owned V200). I have a lot of headphones but my main ones are HD650, HE500, and DT880(600) and the two amps I have been using prior to owning the V200 were the Burson 160DS and the Botlehead Crack. So far I consider the V200 a definite upgrade. 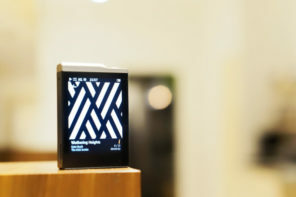 I am now contemplating a DAC purchase to compliment the V200. 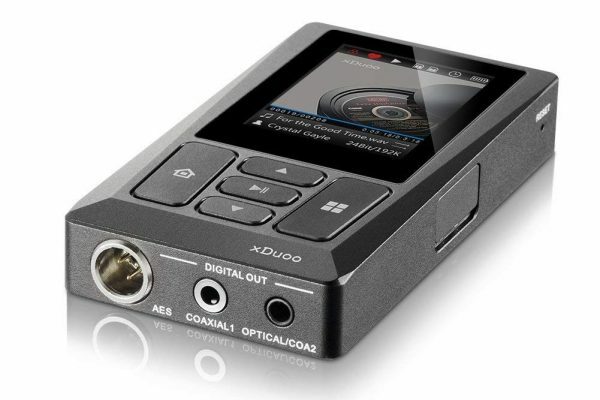 There are a lot of really good DACs in the $1000 to $2000 US range but I am leaning towards the V800. What do you thing about the choice of DACs in this price range Lieven? I’m looking forward to pair it with Musical Fidelity M1 thru decent balanced cable soon. I will let you know the result. I hope you are still loving it, I’m glad it found a good home. Violectric is working on a new DAC, so I’d wait a bit for that one if you want a Violectric DAC. Absolutely loving the V200 Lieven. I went ahead and bought the V800 to pair it with it as this amp really deserves to be stacked with the V800. I will have to survive on Ramen noodles for awhile after buying these two amazing Violectric products, but I certainly will have some great listening while I am doing it. Saw your reply to my post on the Goldman Telos review but thought I should post this on the V200/V800 thread. 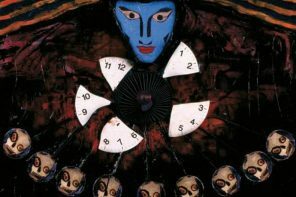 All the best to you and Headphonia, Lieven and happy listening to everyone. Question- I have an audeze lcd 2.2 paired with a violectric v200. I originally bought the NFB 11.32 to use the device as my amp and dac then bought the violectric to use the NFB 11.32 as the dac connected to the violectric. Is this a dumb idea, anyone use their NFB 11.32 purely as a dac? Thanks in advance. Thank you for the prompt response. 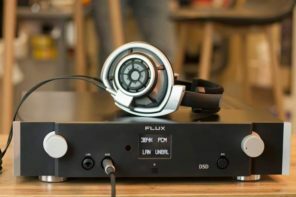 With the LCD-2, what gain did you like best? Thank you for a good review! For now I am pretty happy with Schiit Modi -> Bottlehead Crack, for my Beyerdynamic T1 (and recently with ZMF Fostex t50rp). Few days ago I bought a new amp for my system — Violectric V200. And now I am wonder which DAC to choose as an upgrade from Modi. Thought about Violectric V800, Teac 501, Audiolab M DAC, Benchmark DAC1. Unfortunately I cannot hear them before purchase. Hope you can give me advise. I would say my limit is $1000 and I don’t mind second-hand devices. Thanks to this review and others, I recently ordered the Violectric V200 and Schiit Bifrost Multibit to replace Schiit Asgard 2 and Modi. Still waiting for the V200 and Bifrost Multibit to arrive. Hope I can hear a clear improvement! Headphones in use are HE-560 and HD600. The Asgard 2 to the V200 should be a pretty noticeable difference. I am not holding my breath on a Bifrost Multibit review, but I thought the old bifrost uber was pretty good. Let us know what you think once you have spent some time with them. Its great looking amp, will drive my Hd58x jubilee upto is full potential i believe.